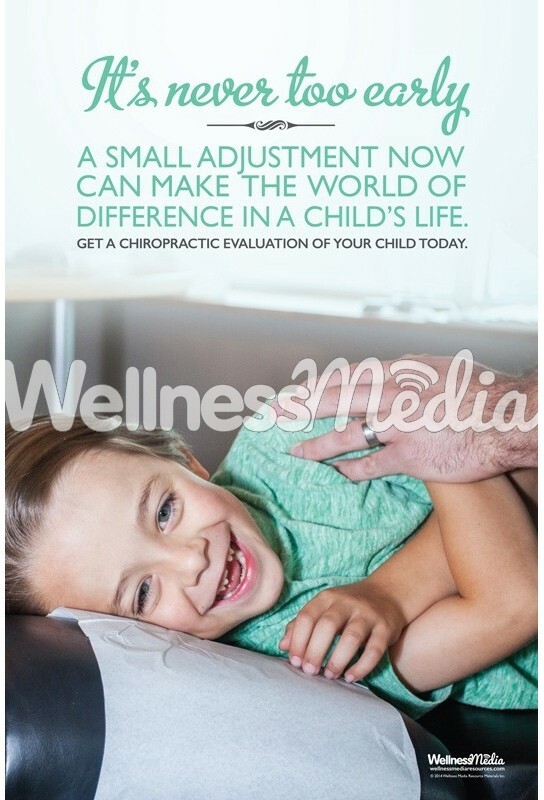 This 12" x 18" or 18" x 24" poster features a young boy getting adjusted with a positive message about the difference chiropractic care can make in a child's life. It's never too early. A small adjustment now can make the world of difference in a child's life. Get a chiropractic evaluation of you child today.